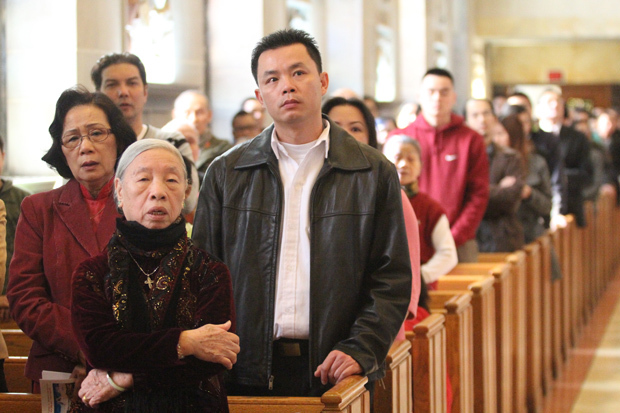 Vietnamese Catholics ready for strong show of faith in Phila. “World” isn’t just a grandiose word in the title, “World Meeting of Families.” It really does mean Catholic delegates representing the Universal Church from all over the world are coming to Philadelphia in September to discuss issues concerning the family and staying for the visit by Pope Francis that will immediately follow. Many who will come have never been to America, and may or may not speak English fluently. In a microcosm, the Vietnamese delegates, whether they are coming directly from Vietnam or are part of the Vietnamese diaspora around the world including America, are part of this group. In fact virtually all Vietnamese in America are either immigrants who have arrived since the end of the Vietnam War in 1975 often as refugees, or are their immediate descendants. Msgr. Joseph T. Trinh, pastor of St. Helena Parish in the Olney section of Philadelphia and himself an immigrant, is working with the World Meeting of Families to serve their needs. 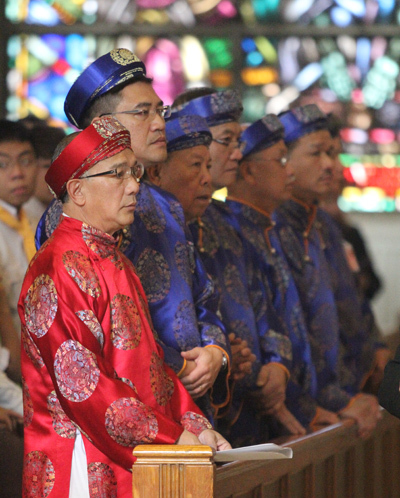 He estimates about 300 people will be coming from Vietnam itself, many of them official delegates of the three archdioceses and 13 dioceses in the country. Other Vietnamese who have indicated they are coming are from Canada, Australia, Japan, the European Union and around the United States. In total, based on last names of those registered for the World Meeting, Msgr. Trinh believes there could be as many as 1,350 Vietnamese coming for the World Meeting itself. Because there are so many who do not speak English, simultaneous Vietnamese translations have been arranged for the World Meeting’s keynote sessions and a number of the breakout sessions. “These people are coming to study and hopefully bring back something to the people of their own diocese,” Msgr. Trinh said. As for housing Vietnamese visitors, he hopes to have the clergy stay at his rectory and nuns at St. Helena’s convent. 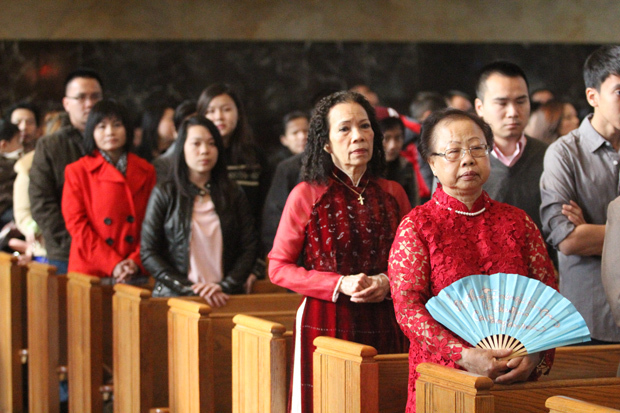 There are about 10,000 Vietnamese in the Philadelphia Archdiocese, he believes, and eight parishes with Vietnamese Masses. He has formed a committee that has been working for the past eight months on the Vietnamese participation, especially on the hospitality issue for the visitors. “I estimate we have to provide housing, food and transportation,” he said. The official events of the World Meeting of Families at the Pennsylvania Convention Center will take place Tuesday through Friday, Sept. 22-25, with the visit by Pope Francis on Saturday and Sunday, Sept. 26-27. Because there will not be a large public event that the pope is expected to attend before the Festival of Families on the Benjamin Franklin Parkway on Saturday evening, and the Sunday Mass on the Parkway, there is a bit of a lull for visitors on Saturday. “We expect 3,000 (visitors, parishioners and the Vietnamese community) will attend Mass here at St. Helena’s on Saturday,” Msgr. Trinh said. Although St. Helena Church is large, it probably will be insufficient for the numbers, even including the lower level church with television screens. 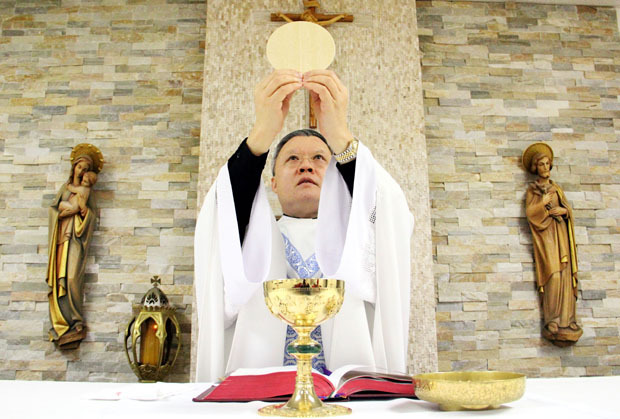 Because of this Msgr. Trinh has already contracted for the use of the former Cardinal Dougherty High School which closed five years ago and is now a charter school. His group can utilize the large auditorium, the two gymnasiums and the cafeteria.